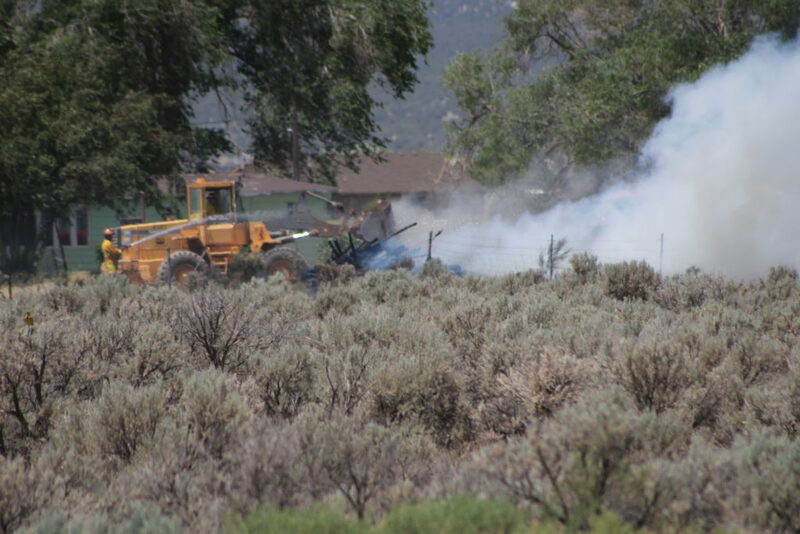 CEDAR CITY — Authorities were busy Friday afternoon working to put out two separate fires in the Cedar City area – one of them threatening a few adjacent homes. 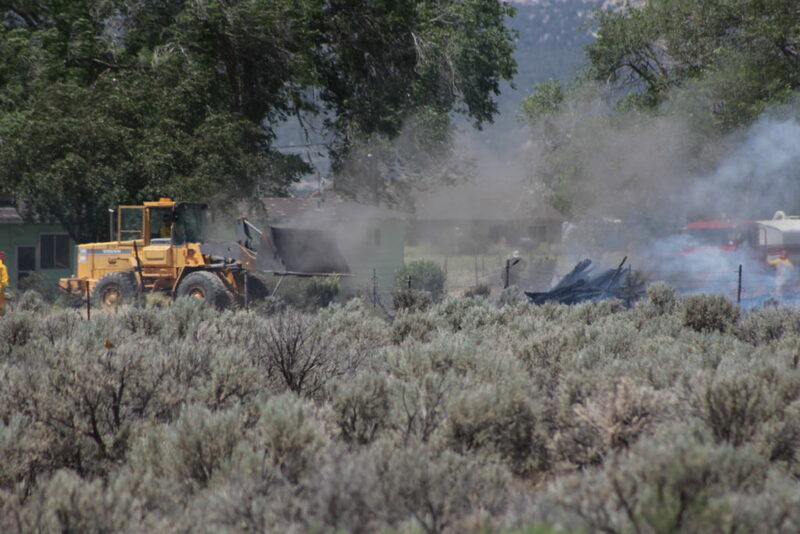 Fire crews were still in the process of cleaning up one fire on Lund Highway that had started around 1 p.m. when they were dispatched two hours later to another one located just a mile away at 2200 North and 2300 West. 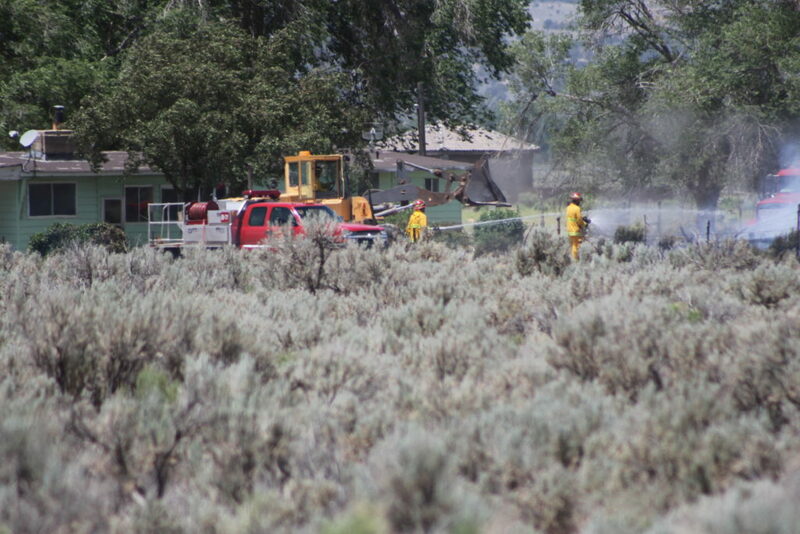 The first fire burned a little more than six acres and came within 50 feet of some nearby homes. 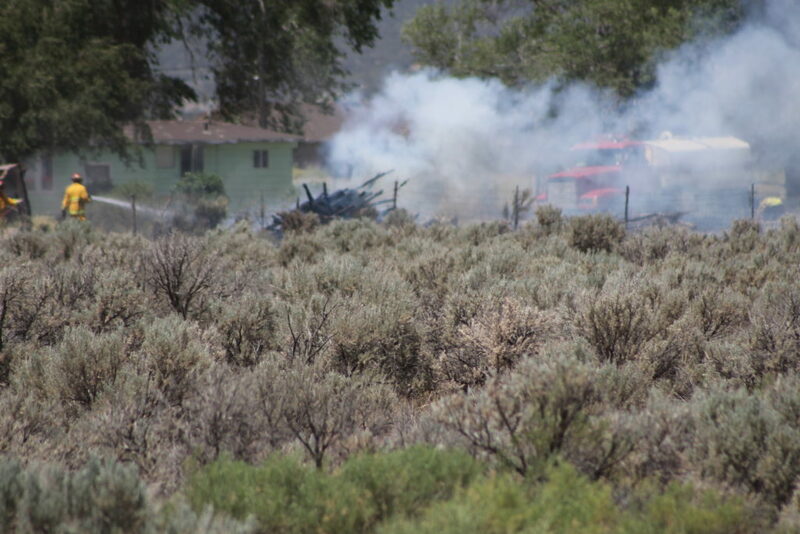 As it was, a woodshed caught fire but crews were able to put it out before flames completely enveloped the building, Phillips said. 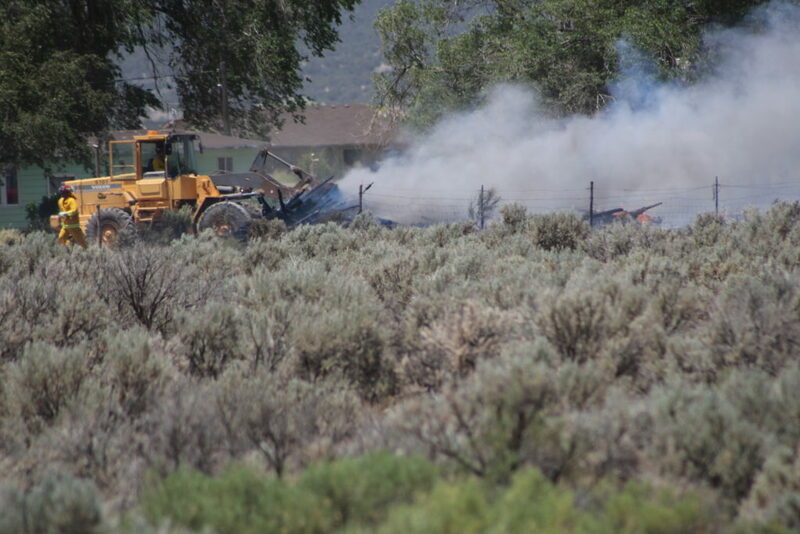 Several piles of cedar posts used for fencing also caught fire. 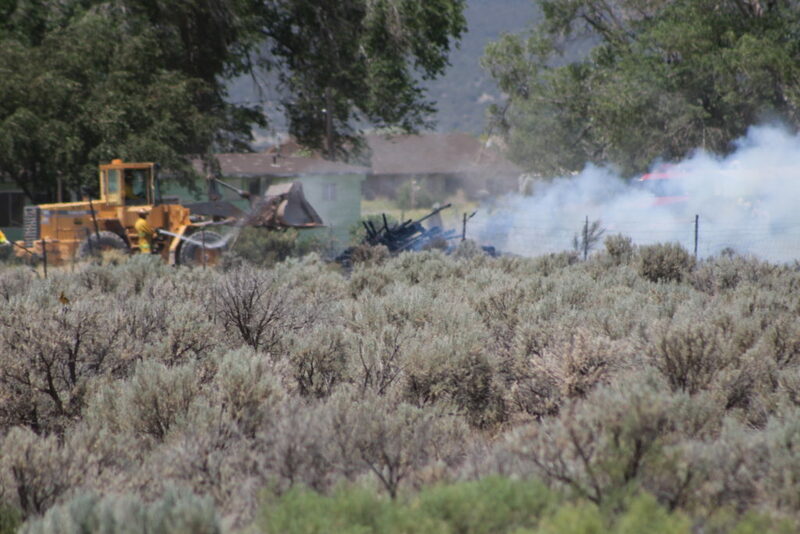 Authorities believe the first fire was caused by a gopher bomb, Phillips said. 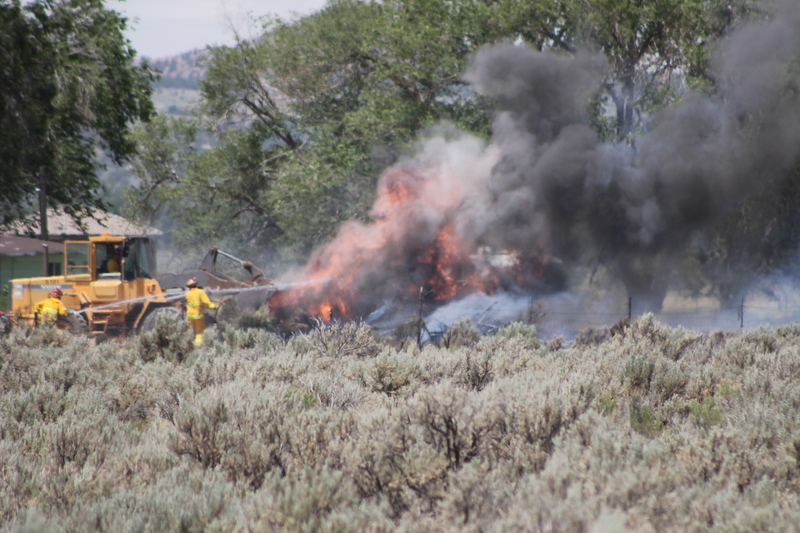 Similar to a smoke bomb, a gopher bomb is lit and then thrown into a gopher hole where it is meant to smoke out the animals. 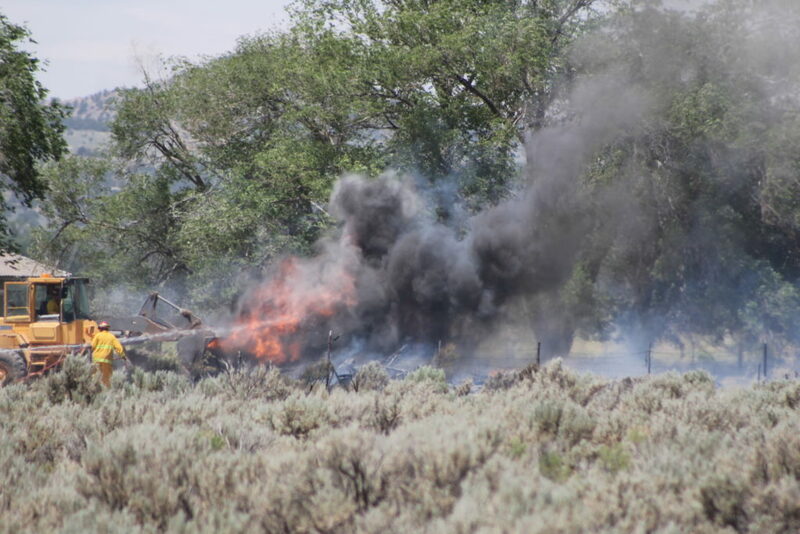 A spark from the bomb hit the cheatgrass surrounding the hole and ignited the fire, Phillips said. 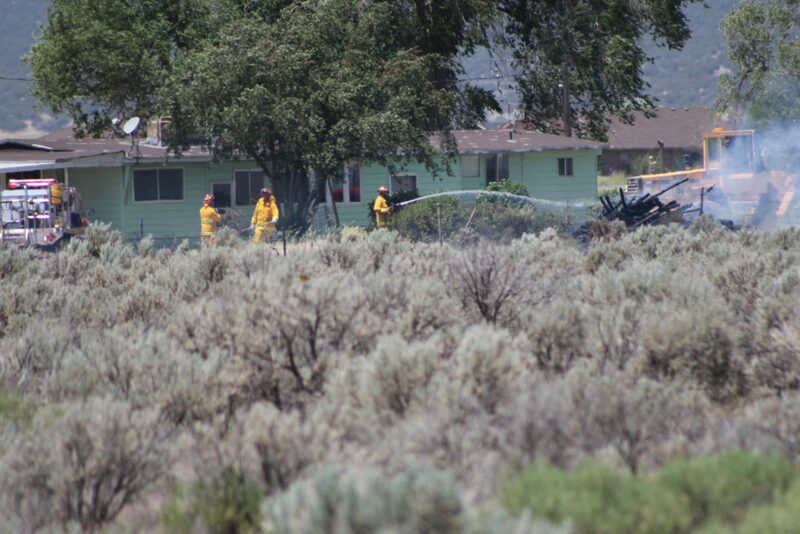 “There is cheatgrass everywhere and it’s dry. 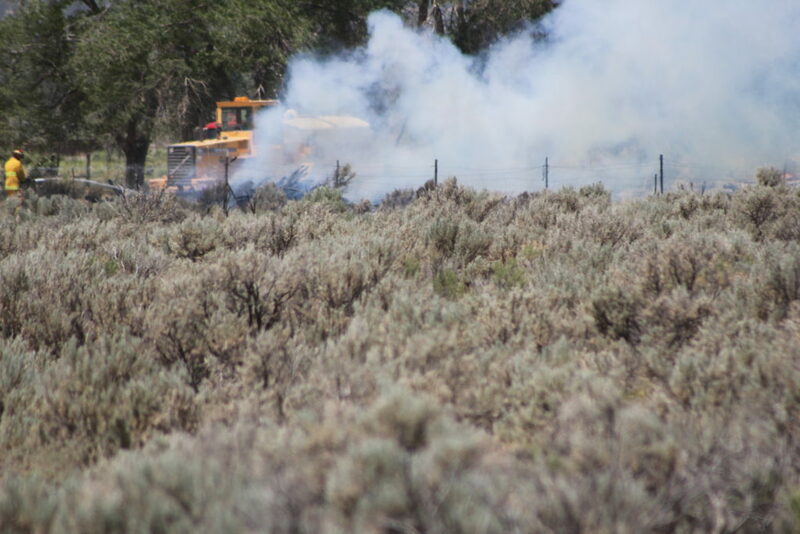 So a spark from the bomb hit the grass and caught fire and once that cheatgrass starts burning it just keeps going and fast,” Phillips said. Similar to the first incident, the second fire resulted from a spark hitting some cheatgrass. 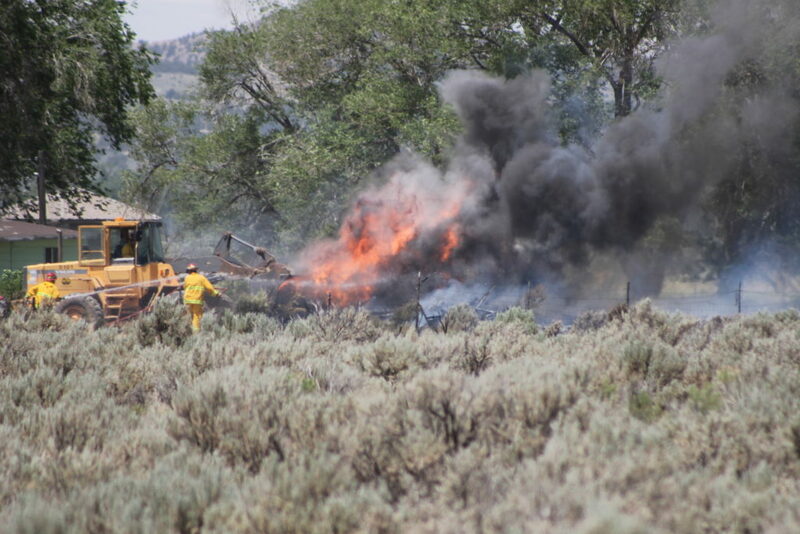 In this case, a farmer was harvesting his field when his farm equipment created a spark that ignited the cheatgrass that was in the immediate area. It burned approximately an acre, Phillips said, before crews were able to contain it. 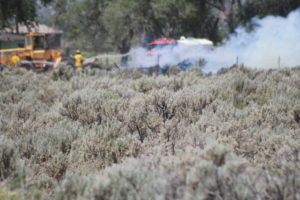 Firefighters have already worked more fires this season than the previous two years combined due to the dry undergrowth, largely cheatgrass which is in abundance, Phillips said. 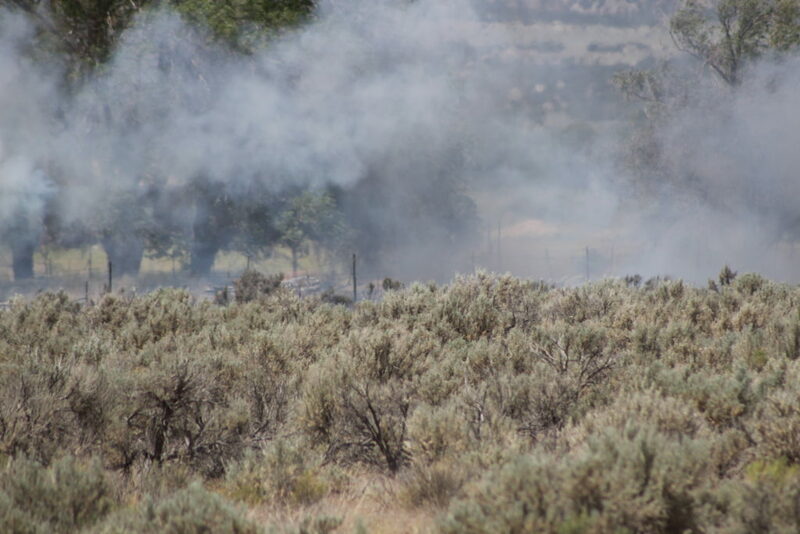 Phillips asked the public to be mindful of the existing conditions and to be careful this fire season. 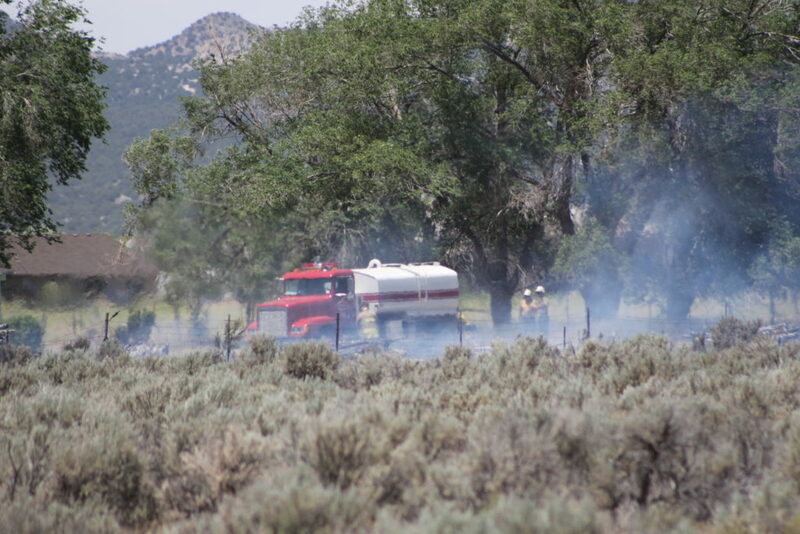 Fire crews from the Cedar City Fire Department, U.S. Forest Service, Bureau of Land Management and the Utah Division of Forestry, Fire and State Lands were all on scene helping to put out and contain the fires.